Last week, the Asheville Citizen-Times came out the TD Customs in Mills River to talk about our Lumilor lit motorcycle. We discussed how the paint works, how we’ve gotten started with it, and how great of a safety feature it is for motorcyclists. It’s been great getting the word out about Lumilor and what we can do with it. Below is the full article. When Mills River auto body mechanic Tim Donaghue drives his glow-in-the-dark cruiser at night, passing motorists point and wave. They certainly see him, and that’s his goal. Donaghue runs TD Customs, one of five shops in the country licensed to apply LumiLor electroluminescent paint. He said the paint is a safety feature, giving motorcyclists increased visibility. However, the cosmetic benefits are almost as impressive as the safety considerations. LumiLor — available in blue, green, aqua, orange and white — glows like a science fiction-movie treasure. There are no light bulbs. Instead, electric current flows through six layers of paint, applied painstakingly over two days. The paint connects to a hidden wire, which delivers 18-volt current from a battery to the design. Although they come from a spray gun just like normal auto paint, the LumiLor layers are carefully formulated insulators and conductors. A layer containing phosphorus causes the glow. In addition to cars and motorcycles, Donaghue has applied the paint to guitars and helmets, and a local theater asked him to create a glowing skull for a prop. And yes, it would be possible to do a whole car. “Everybody wants to know that, but it’s pretty expensive at this point, doing a whole car,” Donaghue said. Lexus Australia shelled out $130,000 to paint stripes on a show car that flashes to the driver’s heartbeat. At $4.50 per square inch, LumiLor is far more expensive than other paints, which aren’t priced by the square inch. The paint job on Donaghue’s Kawasaki cruiser, which features seven glowing areas with a lace pattern, would cost about $5,000, he said. He hopes the price will lower as the LumiLor brand grows, but for now, that money buys novelty. The only other shops certified to apply LumiLor are in Colorado, New York and Texas. Tara Donaghue, Tim’s wife and business partner, said they’re inspired by innovation, even if it requires a painstaking, two-day application process. The shop has a reputation for custom body work, and it’s important for customers to have options, she explained. 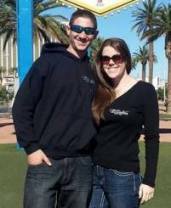 The couple, who have owned their Mills River shop for nearly five years, discovered LumiLor on Youtube. Tim attended a two-week course last fall to get the certification. He’s curious to see what becomes of LumiLor as the Ohio-based company establishes itself. He wonders whether regulations will eventually affect the product. But for now, there are few limits to what the paint can illuminate. See original article and video from Asheville Citizen-Times HERE. 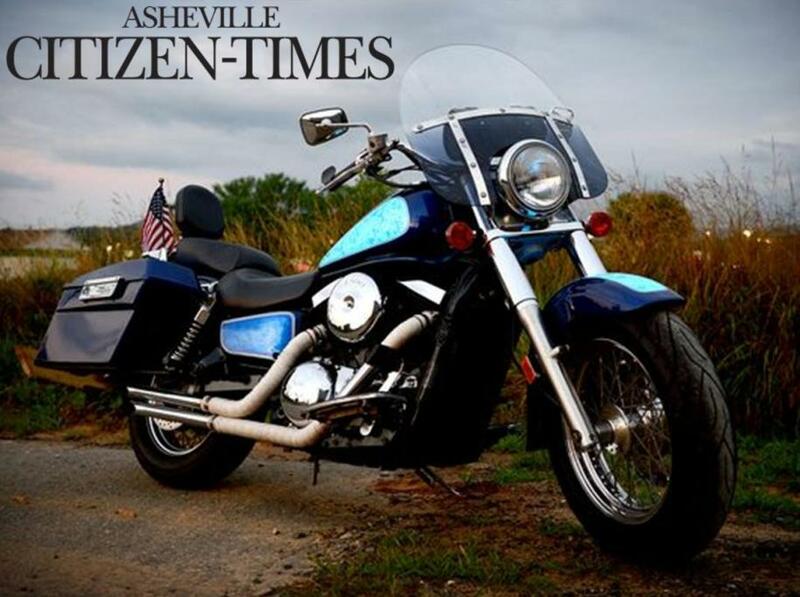 No Replies to "Asheville Citizen-Times Covers TD Customs' Lumilor Bike"